APMEX, a leading Precious Metals dealer in the United States, has leveraged their relationship with the top two grading agencies to launch CoinGrade+™. This new shopping experience allows customers to browse more than 5,000 professionally graded coins from third-party grading services with the most up-to-date information available for each coin. The data includes the coin I.D., grade, mintmark, population, mintage and how many coins were graded higher. 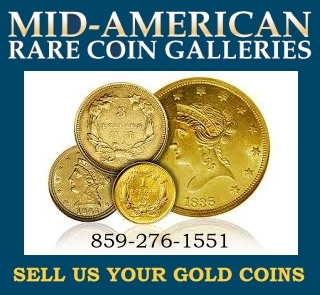 All information helps customers make the best decision when purchasing graded Gold and Silver coins. CoinGrade+ data is synced directly with PCGS and NGC, meaning population figures will never be outdated. Certification from third-party grading services such as Professional Coin Grading Service (PCGS) and Numismatic Guaranty Corporation (NGC) is highly valued among collectors in the coin community. These grading services have given professional and independent certifications to millions of coins since the 1980s. With the consistent high-quality both NGC and PCGS offer, certified graded coins are commonly traded sight-unseen. Coins backed by a PCGS or NGC logo often increases liquidity and can result in a higher value. CoinGrade+ offers collectors’ easy access to information found on coin grading websites all in one location. Each graded Silver and Gold coin has six identifying features, listed by the grading service, to help determine value to investors. The coin I.D. is the identification number assigned by the grading service for each coin series, much like a serial number. The grade gives the condition of that specific coin based on the Sheldon Grading Scale, as well as any attributes designated by the grading service. The mintmark indicates where the coin was made, if applicable. The population gives the total number of coins graded the same in the particular series. CoinGrade+ also shows how many coins in the series were graded higher, as well as the total mintage of each coin. 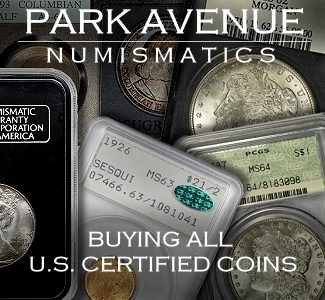 In addition to third-party NGC and PCGS coin grading services, APMEX has a team of in-house numismatists. This team allows APMEX to verify every collectible coin sold on their website. With more than 67 years of combined professional experience and another 24 as hobbyists, this team is one of the company’s greatest assets. The members of this team have been featured in CoinWeek, Numismatic News, Coin World and The Numismatist. APMEX’s senior members currently teach or have taught classes on counterfeit detection and coin grading at the World’s Fair of Money and the American Numismatics Association (ANA) Summer Seminar. Helping collectors easily access information on the world’s most popular coins, along with the large assortment of rare coins, through CoinGrade+ is another way APMEX prides itself on being an industry innovator. Having up-to-date information on each graded coin in one location ensures potential investors fully understand the value of their purchase. You can browse and research information about CoinGrade+ now at APMEX. For more than 15 years, APMEX has been one of the nation’s largest Precious Metals e-retailers. In 2016, APMEX was recently ranked the #1 Specialty E-Retailer and #42 out of 500 e-retailers by Internet Retailer Magazine. APMEX has the largest selection of bullion and numismatic items provided by a retailer, boasting more than 10,000 products. 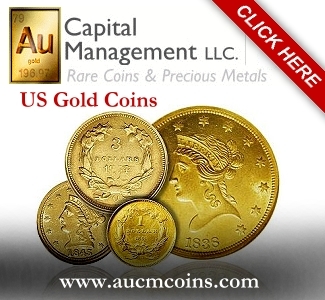 Product offerings include all U.S. Mint bullion such as Gold, Silver and Platinum American Eagle coins. APMEX also sells products from leading mints around the world including The Royal Mint, Perth Mint, Royal Canadian Mint and many others. APMEX is a member of the American Numismatic Association (ANA), the International Precious Metals Institute and the Industry Council for Tangible Assets (ICTA). For additional information, visit www.APMEX.com or call (800) 375-9006.